One of the easiest ways to get a free turkey for Thanksgiving is through a grocery store promotion. Large chain grocers oftentimes offer customers a free turkey as a sort of customer appreciation for being a loyal shopper throughout the year. Most of the time you have to buy a certain amount of food (usually around $100) or accrue a certain amount of loyalty points. This only works if you already planned on spending the money that you will need to spend in order to get the free turkey. Going out and spending money you don’t have simply to get a free product doesn’t really save you any money. Most of these programs exclude alcohol and gift cards to count towards the amount needed. In most cases, you will have to purchase everyday food items. You will want to do some looking around as to what supermarkets are offering these promotions and which aren’t though. Grocery stores also often offer customers “buy one, get one free” turkey promotions. Sometimes you don’t even have to buy a turkey to get one free. For instance, some stores offer a “buy a ham, get a free turkey.” You can get both Christmas Day’s meal and Thanksgiving’s meal shopped for in one shopping trip. If you have to buy a turkey to get one free, however, you aren’t truly getting a free turkey. Like the promotion mentioned above, you will have to do some looking around for these deals as many stores have begun cutting these free turkey programs. You may have to do some searching but there are local contests where the winner gets a free turkey. Check your local newspaper, listen for chances to win on the radio or watch out for information on your local news station for details. Also, keep your eyes peeled for local businesses giving away free turkey as a part of a contest during the Thanksgiving season. If you are motivated there is a good chance you will be able to score a free turkey this way. Craigslist is a place many people go to sell cars or trade items for something they need. You can do this to get a free turkey (well, not technically free). There have been individuals who traded things they had lying around the house for free turkey around Thanksgiving. If you have something around the house that you no longer need or a service you can provide to someone in exchange for a free turkey, Craigslist is the place to go to trade. If you coupon you know that there are a ton of ways to save money on your Thanksgiving feast. Catalina coupons are a great way to get a free turkey. Catalina coupons are the coupons that are given to you with your receipt. People usually throw them away or leave them in their shopping cart, however, the coupons oftentimes give you a specific dollar amount off your next trip to the store. Be sure to check your Catalina coupons and keep a look out for them in your cart (someone may have left theirs). You may be able to get a free gift card or enough money off to get a free turkey this holiday season. Local food banks often receive turkey donations during the holiday season. A number of grocery stores offer the “buy one, get one free” turkey promotions and many people donate the second turkey to their local food bank. After Thanksgiving stores that over-ordered turkeys and don’t have space for them will donate them to food banks. Once the holiday is over, food banks may have an overflow of turkeys as well and you may be able to score a free turkey that way. Most of these programs exclude alcohol and gift cards to count towards the amount needed. In most cases, you will have to purchase everyday food items. You will want to do some looking around as to what supermarkets are offering these promotions and which aren’t though. 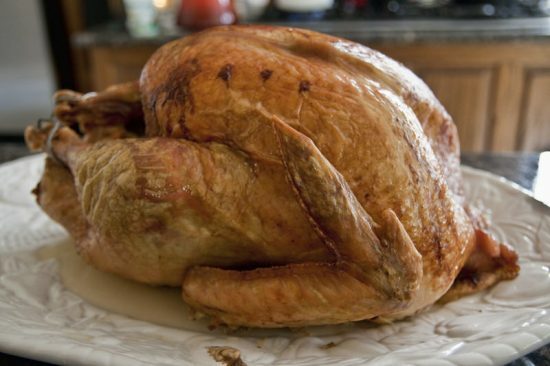 Stores run by Giant Foods will not be holding a free turkey promotion this year. Giant Food Stores, based in Carlisle, Pa. announced that there will be no free turkey promotion this year. The supermarket company has decided to end the 15-year program. Company spokeswoman Samantha Krepps said the company saw a large decline in the number of customer who were opting for a free turkey. Last year the program offered shoppers a free 20-pound turkey, turkey breast or lasagna after the customer with a Bonus Card spent $400 (earned 400 points). It seems that many Giant Food Store shoppers are upset about the change in the program. Many people look forward to the free turkey each year. “There are a lot of people who count on that,” Linda Williams, a frequent Giant Foods shopper, said. 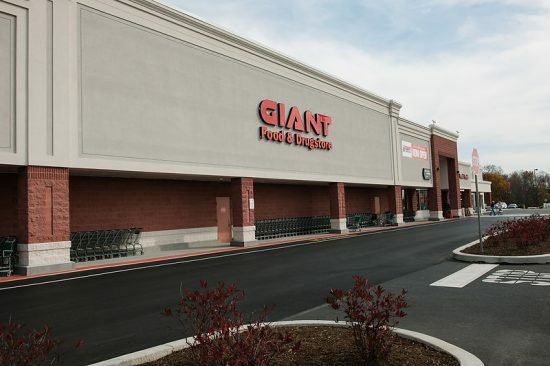 “They have to shop all fall anyway and they save their points and get a free turkey.” Other Giant Foods patrons have expressed that they are not happy with Giant’s decision to cut the program after 15 years as well. Many customers enjoy being both savvy and generous during the holiday season. Williams said that she usually donates the free turkey she receives each year through a food program with her church. She will be sad to see that opportunity go away. For many the Giant Foods free turkey has become an annual tradition and it has helped many food banks save product during one of the hardest times of the year. ABC reported that a shelter in Harrisburg, Pa. estimated that the shelter would lose about $15,000 this year because of Giant’s decision to cut the free turkey program. Now Giant brand turkeys are $1.49 per pound. In recent years the shelter received about 500 turkeys from people who participated in Giant’s free turkey promotion and didn’t have to spend any money. The company understands the impact that the decision may have on local shelters and has decided to make a comparable donation. Giant has donated approximately $90,000 in cash and turkeys through its “Feeding Our Neighbors” program. Although there was a decline in customers looking to get free turkeys in recent years around the Thanksgiving holiday, the company has seen an increase in shoppers using Bonus Card points for gas rewards. Instead of getting a free turkey with your points you can get free gas by shopping at any of the Giant Food stores. Loyal Giant Food shoppers have been upset about the change in the free turkey program. Shoppers see the free turkey program as a customer appreciation perk. Many Giant patrons shop year-round to get gas points but the free turkey program is something they look forward to each year for being a loyal customer. Despite the outcry from loyal customers, Krepps said that phase one of the new program will be rolled out on Friday. However, no specific details have been mapped out for shoppers. Giant has only revealed that it will continue to offer its customers holiday value deals in place of the free turkey program.